Maria Alba was born in Bosquecito, NM, to Frank and Adela Gallegos. Maria passed away peacefully at home. She is survived by her siblings Mela Armijo (Polo), Augustine Gallegos (Leyla), Patricio Gallegos (Ingrid), and Johnny Gallegos (Lawrence). She was preceded in death by her husband Rosalio Alba and her siblings Cecilia Romero (Isidro), Pete Gallegos (Mary) and Amado Gallegos (Claudette). She is also survived by her nine children: Arthur Alba, Xavier Alba (Barbara), David Alba (Mary), Danny Alba (Kathy), Henry Alba, Victor Alba (Jonnie), Rene Alba (Debby), Monica Amedei (David), and Tony Alba (Suzy). Maria raised two grandchildren – Anthony and Adrian Alba. She had numerous loving grandchildren and great-grandchildren. 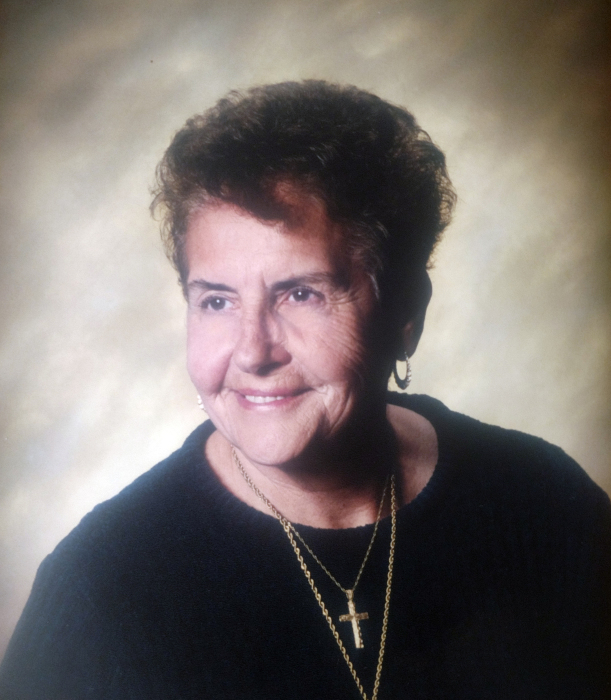 She was a member of St. Joseph’s Catholic Church in Lordsburg, NM for many years. She grew up on a ranch in Bingham, NM. Maria raised her nine children on a farm in Rodeo, NM. She then worked for the U. S. Postal Service before retiring after thirty years of service. Funeral mass was held at St. Joseph’s Catholic Church on April 14, 2018, with Father Jude presiding. She was interred at Rodeo, NM.